As the market leader in enterprise application software, SAP is at the center of today’s business and technology revolution. SAP helps streamline processes, giving the ability to use live data to predict customer trends – live and in the moment. Across the entire business. SAP’s abiding mission is to help the world run better and improve people’s lives. This is our enduring cause – our higher purpose. We bring cutting-edge innovation to life for some of the most influential companies in the world – thanks to our talented workforce. We believe innovation is more than developing software – it’s developing breakthrough technologies and best practices that shape IT trends and helps companies of all sizes and industries run better. We value an entrepreneurial spirit. Fostering creativity with our employees. And we believe that diversity and inclusion keeps us competitive. Join us and thrive in a culture where you’ll innovate and be recognized for your unique contributions and work in an environment that helps you be your best self. Without IT the rail system would be inconceivable. 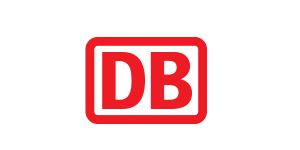 DB Systel, a wholly owned subsidiary of the DB Group, is the digitalisation partner for all Deutsche Bahn companies. As an integrated and value-adding company within the DB Group, DB Systel offers a comprehensive range of customised solutions and services that meets the highest IT standards and picks up on the latest trends. It does so by incorporating its extensive railway and IT expertise and, as a long-term vendor-neutral partner, by pursuing the Group’s common objective. Deutsche Bank offers a broad range of financial products and services to all customers from large corporations to private individuals. By investing in digitalization, we are able to provide our customers with even more convenient access to top advisory services and more flexibility. Our innovation labs in Berlin, London, Silicon Valley, and New York find and evaluate new technologies for the bank. The digital factory in Frankfurt is working with high pressure on innovations in series. 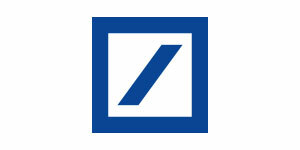 Both initiatives are part of Deutsche Bank’s digital strategy. Educating the digital pioneers of tomorrow: CODE is a newly founded private university of applied sciences that is embedded into the vibrant network of Berlin’s digital economy. Rethinking higher education, CODE is offering the study programs Software Engineering, Interaction Design, Product Management. Henkel holds leading positions with its three business units in both industrial and consumer businesses thanks to strong brands, innovations and technologies. Henkel Adhesive Technologies is the global leader in the adhesives market – across all industry segments worldwide. In its Laundry & Home Care and Beauty Care businesses, it holds leading positions in many markets and categories around the world. Henkel employs more than 50,000 people globally – a passionate and highly diverse team, united by a strong company culture, a common purpose to create sustainable value, and shared values. 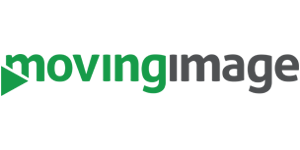 movingimage have become one of the global leaders in delivering full-service enterprise video solutions. Simply put, we want to revolutionize the way in which companies use video. Over 500 enterprises including DAX-listed corporations such as the Volkswagen Group and Deutsche Telekom, already use our Enterprise Video Platform (EVP). Agile work methodologies and values rest at the core of our cutting-edge products and services; with our very own movingimage agile Framework – or MIA for short. We are continuously on the lookout for inquisitive and creative people to join our team – because at the end of the day innovative teams produce innovative products. As a process supplier and subsidiary of Porsche, MHP is one the leading consulting firms. As an automotive expert, comprising a symbiosis of management and IT consulting, we offer more than 300 customers both comprehensive IT competence and in-depth process know-how. Since its foundation in May 1996, our company has recorded continuous growth. We support our customers from our 13 offices worldwide. At Porsche digitization has three dimensions: product, customer and company. In order to address these challenges in a Porsche typical way, IT at Porsche more and more comes to the fore. The division is growing rapidly and digitalization experts are in demand more than ever before. The number of employees in our IT departments has doubled in the past five years and the goal is clear: make Porsche a leading provider of digital mobility solutions in the premium automotive segment. 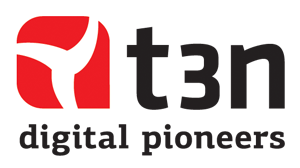 Vector Informatik provides OEMs and suppliers of automotive and related industries with a professional and open development platform of tools, software components and services for creating embedded systems. Our products and services give engineers a key advantage in making a challenging and highly complex subject area as simple and understandable as possible. The Bosch Group employs roughly 390.000 associates around the globe and is operating in four different business sectors: Mobility Solutions, Industrial Technology, Consumer Goods and Energy and Building Technology. Our claim ‘’Bosch-Invented for life” is driving us to develop connected solutions in order to improve the quality of life worldwide. Dassault Systèmes provides business and people with virtual universes to imagine innovations to over 200.000 customers of all sizes in more than 140 countries. Its world-leading solutions transform the way products are designed, produced, and supported. Dassault Systèmes’ collaborative solutions foster social innovation, expanding possibilities for the virtual world to improve the real world. Oracle offers a comprehensive and fully integrated stack of cloud applications, platform services, and engineered systems. With more than 420,000 customers in more than 145 countries, Oracle provides a complete technology stack both in the cloud and in the data center. Oracle’s industry-leading cloud-based and on-premises solutions give customers complete deployment flexibility and unmatched benefits including application integration, advanced security, high availability, scalability, energy efficiency, powerful performance, and low total cost of ownership. We bring coding into the classroom, because those who know how to code will be able to shape our future. The International Federation of Business and Professional Women is an influential international network of business and professional women from about 100 countries in 5 continents with Consultative Status at ECOSOC/United Nations. Founded in 1930, BPW International develops the professional, leadership and business potential of women on all levels through our mentoring, networking, skill building and economic empowerment programs and projects around the world. Net. Work. Power. 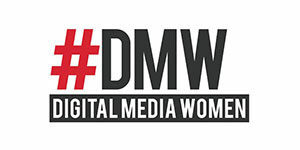 Digital Media Women (#DMW) is Germany’s largest network of professional, action-taking women. We want to give female voices a stage whether it is at conferences, in the media or on management boards. We aim for women to be equally integrated in every part of society and economy, and to enable them to visibly take influence: Openly, deliberately and innovatively. For us, this is what defines Digital Leadership. And as digital transformation is our playground, networking is our strength. who know their worth, who create their career, who follow their passion and who love to learn new things, find and give inspiration and engage with people, ideas and pressing issues. EDITION F offers all this – everyday, everywhere. As digital companion in the personal and job life. And in between. 1ST ROW offers Personal Brand Building and Strategic Consulting for companies and executives. Working on strategic positioning as well as the concept of Innovational Leadership support transformation management and help to establish a successful style of leadership which in turn enhances innovation and flexibility in digitized companies. Values, authenticity, empathy and the alignment of current challenges are central aspects of our work: A credible leader with a clear profile and standing can change a team, a company and the market. With more than 20,000 personal and 250 corporate members, the German Informatics Society (GI) is the largest and most important community of specialists for computer science and informatics in the German-speaking world and represents the interests of computer scientists in science, business, public administration, society and politics since 1969. With 14 departments, more than 30 active regional groups and countless specialized groups, the GI is a platform and speech tube for all disciplines in computer science. For further information, please visit www.gi.de. 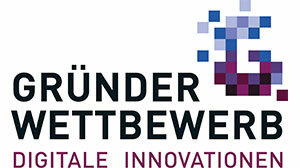 The Digital Innovations Start-up Competition is organised by the Federal Ministry of Economic Affairs and Energy. The competition aims to support innovative ideas and to help start-ups in the ICT industries to accelerate. A priority is to support women in the ICT industry and to assist them setting up their own business. You can find further information here or follow us on Twitter @GW_DiIn and network in our LinkedIn Group. We’re a community of women dedicated to helping aspiring and established female tech innovators. We believe that the more women get involved with tech design, development and leadership, the more successful and diverse our companies and products will be in the future. LeadersLikeHer brings together women from industrial, research and public organisations in a social network where the next generation of ambitious and talented women can profit from the experience and support of today’s leaders to achieve their career goals. t3n, the magazine for the digital economy, covers news and trends of the web industry online and in quarterly print editions. Its editorial team offers fact-based and practical reporting about online business, social media, web technology and design, as well as the challenges of a digital future. t3n provides essential information to succeed in the digital economy for a unique and engaged community: web workers and creatives, startup founders and managers, marketers and media professionals. TED stands for Technology, Entertainment and Design and is an organization founded 1984 in the spirit of spreading good ideas. TED later created a program called TEDx, a program of local, self-organized events that spark discussions and create new thoughts. TEDxMarrakesh brings people together to share live inspirational speakers and artistic performances mixed with TED-videos. TEDxMarrakesh has produced five successful TEDx-events since 2011 and is part of the global TEDx-conversation of powerful people who believe that spreading ideas can stimulate change! Das univativ Journal www.univativjournal.de richtet sich an Studenten und Berufseinsteiger und dreht sich um alle Themen rund um Job, Berufseinstieg, Karriereentwicklung und die Zusammenarbeit zwischen Unternehmen und Young Professionals. Der Schwerpunkt liegt dabei auf den Bereichen IT, Economics und Engineering. Weitere Informationen unter www.univativ.com. Women in Digital e.V. (WIDI) addresses female leaders from the digital industry. The assocciation’s goals are to link female leaders among themselves and to foster their media visibility. For female leaders from various industries, the society and politics WIDI offers a platform for cooperation, projects and exchange. The WOMEN SPEAKER FOUNDATION recommends more than 500 female experts with excellent references from its Pool of Female Excellence onto stages. We offer innovative formats involving career, Brand Building and professional stage presence. The WOMEN SPEAKER FOUNDATION develops the market for more women on stages and in the public awareness. We build cooperations and initiate communication platforms with all actors of today´s society in order to get the broad attention for this topic in economy and society needed.